In today’s world of massive civilizational dependence on technology, the power of government surveillance over every aspect of our lives has reached unprecedented levels. Privacy has become a sacred relic from the past, and today one has to go to great lengths to secure their digital safety and anonymity. 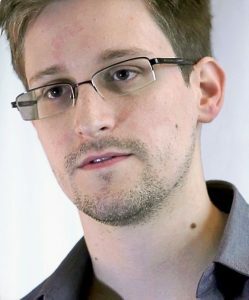 Privacy is an essential and integral part of human nature, and without it we cannot possibly act or think freely. Since the inception of Bitcoin in 2009, one of the most controversial points surrounding it has undoubtedly been the subject of anonymity. The philosophy behind Bitcoin originated from the works and ideas of the 90’s Cypherpunk movement and it has been particularly attractive to people with libertarian and objectivist worldviews. In the early days, the community overrated Bitcoin’s capacity for entirely anonymous transactions to the point that, even today, nine years later, it remains a widely held belief. In the past four years, the community’s demography and, with it its “ideals” have changed drastically. 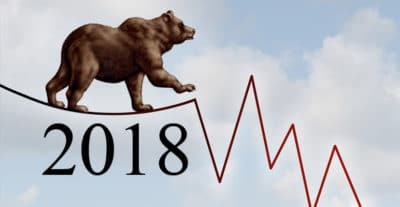 Today Bitcoin is used as a speculative instrument and a get-rich-quick scheme. And frankly, looking at Bitcoin’s tenfold increase in price in just one year, this sort of human behavior is expected. It seems like Satoshi Nakamoto‘s initial idea to create a secure and private protocol for “transfer of value” over the Internet has fallen into greed’s bottomless pit full of Lambo memes and 14-year-old day-trading experts. That being said, this article is catered to people who hold individual freedom and the right to privacy as esteemed personal values, and aims to provide the readers with the essential information needed to stay anonymous while using Bitcoin. The Bitcoin protocol runs on an underlying technology called blockchain. A blockchain is a digitized, open, and distributed/decentralized ledger used for record-keeping of any sort of information that runs on a p2p network. Once data (or in the case of Bitcoin, a transaction) is recorded on the blockchain, it cannot be altered retroactively, which constitutes one of the main characteristics of the blockchain — its immutability. Bitcoin transactions are said to be pseudo-anonymous because even though the transactions themselves are transparent, they’re only linked to the public addresses of wallets, and the wallets are not linked to personal IDs by default. However, an agent with sufficient knowledge and determination can reveal, with relative ease, the average wallet owner’s identity and therefore trace back to all of his activity. Casually using Bitcoin might be “more anonymous” than traditional bank account wire transfers or debit cards, but it’s not nearly as anonymous as cash. To make it truly anonymous is quite a tricky endeavor and that’s exactly why we created this easy-to-follow step-by-step guide to Bitcoin anonymity. If you’re planning on buying your first bitcoin from the main computer you’re currently using, you can forget about anonymity. With the most recent news of Meltdown and Spectre, you can safely assume that your computer, along with all the personal information, passwords and confidential data on it is already compromised. If you’re serious about privacy, you need to buy yourself a cheap laptop and two 8GB (or more) USB drives. To maximize privacy, connect your new laptop to public WiFi in cafes or libraries from the very beginning and never log into your old email addresses, your social media accounts or anything remotely connected to you. The next thing you need to do once you’ve acquired a new laptop and connected it to public WiFi is to install the TAILS operating system. Tails is a complete live operating system designed to secure your privacy and anonymity. 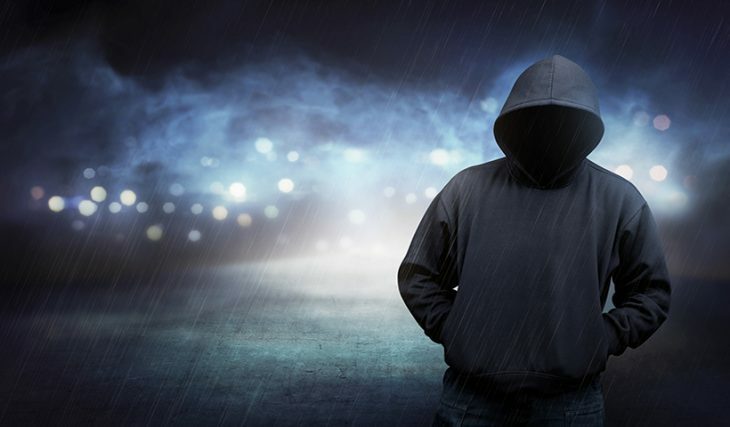 Tails relies on Tor anonymity network as a “default mode” for all of its software apps and automatically blocks any app that tries to connect to the Internet directly. The Tor software is an overlay network consisting of more than seven thousand relays that bounce your communications all around the world in an effort to prevent anyone conducting network surveillance and traffic analysis from knowing your geographical location or the sites you visited. To install the Tails live operating system on your USB drives and use it on your new laptop, follow the step by step guide on their official site. It’s highly recommended that you spend a few days getting to know the Tails system and the Tor browser before you consider connecting your laptop to your home WiFi. Now that you’re reasonably sure that you’re using “clean” hardware with no malicious software (like a virus or a keylogger) on it, you can proceed to the next step — creating a Bitcoin wallet. The term “wallet” is actually pretty misleading because it implies that there is a separate place where the bitcoins are stored, and that’s not the case. A Bitcoin wallet is technically a “key chain.” The funds themselves are recorded on the blockchain, and the private keys used to access those funds are stored in your Bitcoin wallet. You can think of your public key as your bank account number that you provide others when you want to receive funds, and your private key as the password to access the bank account. Because of the transparent nature of the blockchain, your Bitcoin wallet is the central and the most vulnerable point linking your digital presence to your real-world ID. To minimise the probability of revealing your identity, never send or receive multiple bitcoin transactions from one bitcoin address. There are several ways to mitigate the risks, but we’ll mention two of them as the safest. HD is short for Hierarchical Deterministic. Of course, these words mean nothing to you, so let’s put it this way: A HD wallet is a wallet that generates any number of public addresses you can use to receive bitcoins. It uses a single 12-word master seed key which means that you can use the same private key to access the funds of multiple bitcoin addresses. It’s like having a single password for multiple bank accounts. Examples are Ledger Nano S, Electrum and Trezor. This dramatically improves your privacy because it makes tracking the transaction activity and the total balance you have on the blockchain almost impossible, simply because all of this information is distributed on these different addresses that cannot be linked to each other, or to you. For this reason, it’s recommended that you spend a small amount of additional money to acquire a hard wallet like Ledger Nano S, MyCelium or Trezor. All of them are HD wallets with simple and user-friendly interface. You can also use the Electrum wallet in conjunction with your hard wallets for an additional layer of safety. If you don’t want to spend ~100 USD on a hard wallet, you can generate so-called “cold wallets” using bitadress.org. A cold wallet is essentially a wallet that’s not connected to the Internet, which means that hackers (or anyone else for that matter) cannot access your digital assets because they’re stored physically. Bitaddress.org is a site that lets you generate new bitcoin wallets out of entropy. After you create your wallet (public + private address), you can either print them out or just write them down on a piece of paper. 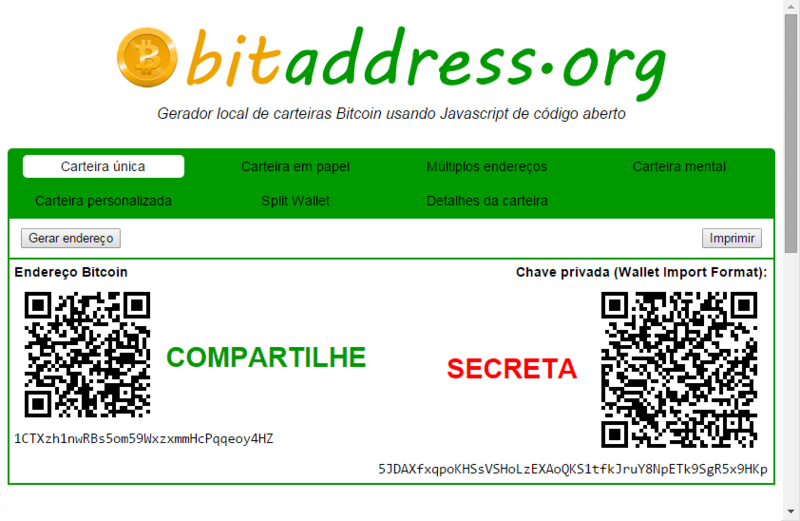 To receive funds to your paper wallet, just instruct others to send bitcoins to the public address you provide them. To spend them, however, is a bit of a hassle because cold wallets are made for long storage rather than everyday usage. That being said, you should be aware by now that you should access bitadress.org via Tor on your new laptop and you should create a new bitcoin wallet for every transaction rather than using the same wallet multiple times. Also, never, by any means, publicly disclose and associate your wallets’ public addresses with your personal identity. This should be a no-brainer. Buying new bitcoins to fund your anonymous wallet is the riskiest part of this whole procedure. Most of the exchanges like Coinbase or Bitstamp are required to follow KYC, AML and cTF regulations and therefore won’t let you create an account without providing them with government-issued ID or a passport. Thus, your options for anonymously buying bitcoin are limited, but not non-existent. Buying bitcoins with cash is by far the most anonymous way of funding your wallet. Localbitcoins is a p2p service that connects you to buyers and sellers of cryptocurrencies in your area. You can sign up to Localbitcoins.com (USING TOR) with a fake name and fake email address without providing any ID, and all you need to do is find someone willing to sell you bitcoins tête-à-tête for cash. Make sure the seller has a high reputation and good feedback from the users. Once you arrange a meeting in a public place, make sure you use your fake name, and as soon as you see the confirmation of the transaction, your job is done and you should leave as soon as possible. Also, make sure you use public transportation, a bike or just travel by foot, as your vehicle number can expose your identity. If there’s a Bitcoin ATM in your proximity, it is by far the most secure and secret way of acquiring bitcoins at your disposal. 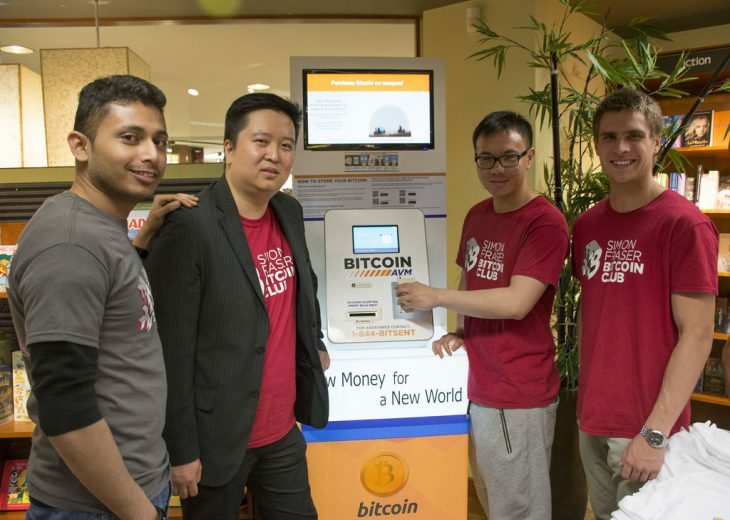 A Bitcoin ATM is a machine that accepts fiat currency for bitcoins and vice versa. Almost all of them don’t require any identification; you just put cash in, enter the public address from your anonymous wallet, and you’re good to go. You should also be aware that bitcoin ATMs may charge up to 7% in transaction fees and use higher exchange rates than you can get on most exchanges. Privacy may come with a price, but lack of it will certainly cost you more on the long run. Due to the recent government crackdown on cryptocurrencies and the enforcement of strict regulations, this is probably the only method left with which you can acquire bitcoin via debit card anonymously. A few years ago you could buy $150 worth of bitcoin on Coinmama.com, but according to several sources, nowadays they require you to submit ID to use their exchange for even smaller amounts. If you want to stay truly anonymous while using the Bitcoin protocol, you’ll have to implement all of the steps mentioned above cumulatively. Maximising your privacy in the digital world requires technical knowledge and it can be quite challenging, but having some patience and familiarising yourself with the technology will get you a long way. After you’ve bought some bitcoins anonymously, you’ll want to use tumbling/mixing services to further obfuscate any possible fingerprints left on the blockchain that could be linked to you. If you’re willing to go a step further, you can switch between currencies by buying Monero, Zcash or Dash with your bitcoins on the anonymous Shapeshift exchange and then converting them back. Doing everything described in this article in the right order and in the right way will make your transactions almost impossible to trace, and your funds impossible to find and link to your real identity. Previous article What exactly is blockchain and how does it work? Browser Tor + bitcoin wallet https://bitcoinov.org = 100% anonymity.